There are some interesting facts about Ethiopia that the world is yet to realize and hear of. The country’s three thousand years of history are bound to hold some mysteries that are yet to be discovered and told. But, there are some people, who although not Ethiopian or of Ethiopian-descent, have loved their country blindly, without knowing or hearing of these trivia and historical facts. They have enriched the country’s history by becoming a part of the country’s legacy. One such person was Hubert Julian - “The Black Eagle”. Hubert Fauntleroy Julian was born in Trinidad in 1897. He was the son of a well-off cocoa plantation manager and had opportunities to study in London and then live in Montreal, Canada. While in Canada he learned to fly an airplane and then served as a Lieutenant in the Royal Canadian Air Force. In 1921 Julian immigrated to the United States and concentrated on flying and promoting black aviation. 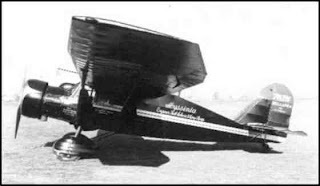 In 1924 he came up with the idea to fly across the Atlantic: from New York to Liberia on the West African coast. Towards this end he named his airplane “Ethiopia I” and set about collecting money to finance his trip. The plane took off on July 4th, 1924. Sadly, shortly after takeoff one of the plane’s pontoons fell off and it crashed into Flushing Bay. While The Black Eagle never succeeded in flying across the Atlantic, he did manage to hold records for brief times. For example, he was the first black man to fly from one coast of the United States to the other and he once held the record for the “world non-refueling endurance record” set at 84 hours and 33 minutes in his Packard Bellanca named “Abyssinia”. But that didn’t matter, because he had become a celebrity in his own rights. And when Emperor Haile Sellasie I of Ethiopia heard about his stories, he was invited to Ethiopia. His exploits had so impressed the Emperor that upon arrival he was bestowed with Ethiopian citizenship and made a colonel in the then fledgling Ethiopian Air Force. But his flying days weren’t as glorious as he wanted them to be mainly because he accidentally crashed the Emperor’s favorite airplane and had to return to the United States. When Italy invaded Ethiopia in 1935, Hubert Julian rushed to the aid of the Ethiopian government. He was put in command of the Ethiopian Air Force, which consisted of just three airplanes. 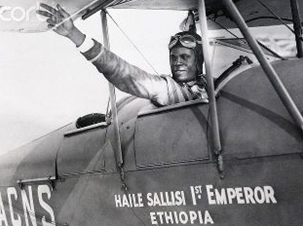 Again, this flying stunt too wouldn’t last too long as Hubert “The Black Eagle” Julian was told to leave the country after he got in a fistfight with another black aviator who was flying for the Ethiopian Air Force – Colonel John C. Robinson, who left Ethiopia when the country was occupied by the Italians in 1936. In 1974, “Flying Magazine” printed an article that said Julian was making plans to rescue Emperor Haile Sellassie I, who was then imprisoned by the military junta (“Derg”). He was 77 years old at the time. This great flying legend passed away almost too quietly in February of 1983 in New York City. But to this date, he is remembered as one of the gems that are the infinite interesting facts about Ethiopia.